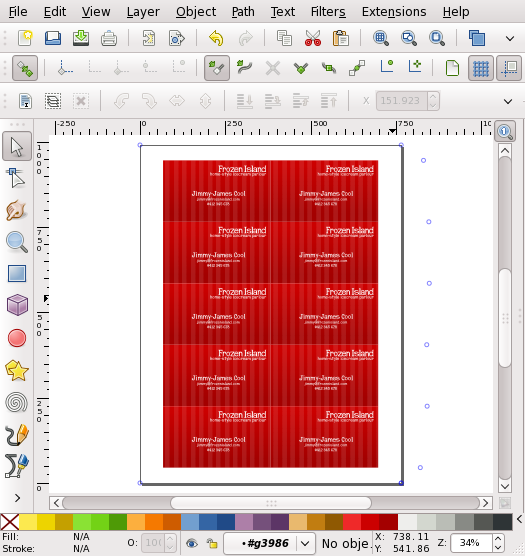 For the purposes of this tutorial, the stock for our business cards we will be the Worldlabel 3.5″ x 2″ Business Card. Download the PDF template from the Worldlabel website: https://www.worldlabel.com/Templates/wl-ol244PDF.htm. Launch Inkscape, and open up the PDF template using the File > Open... menu item. After opening up the file, the PDF Import Settings dialog box will appear. As illustrated below, use the default settings and press OK. Your document should now have the template visible, similar to the image below. 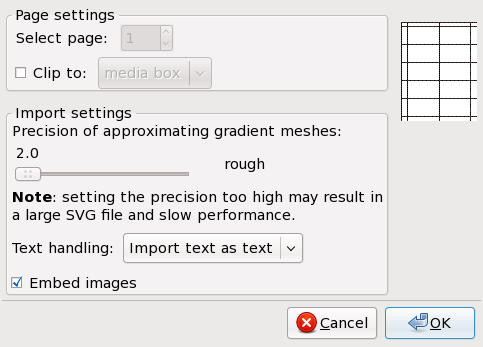 Now, go to File > Save As... and save your document in the native Inkscape format, SVG (Scalable Vector Graphics). 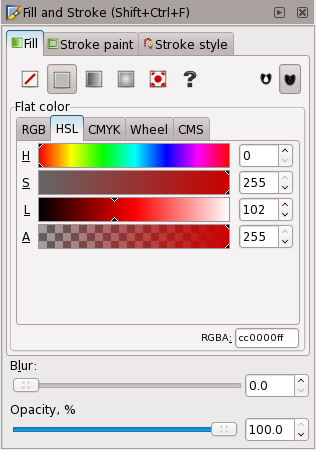 The next step is to double check the Inkscape’s snapping preferences. 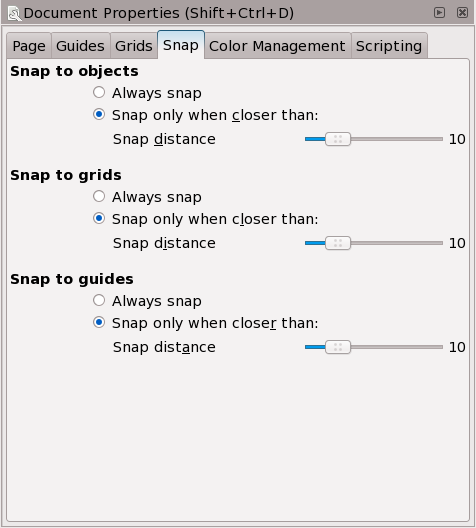 With these preferences configured properly, when an object is moved or resized near the guides, the object should “snap” cleanly to the edge of the guide(s). 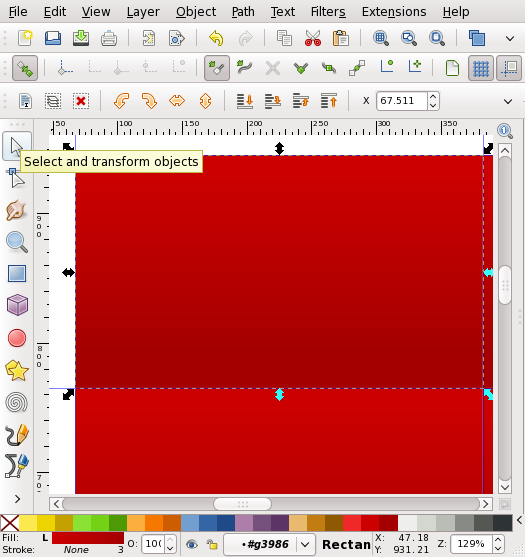 Select the Rectangle tool from the Inkscape Toolbox on the left hand side of the main Inkscape window. 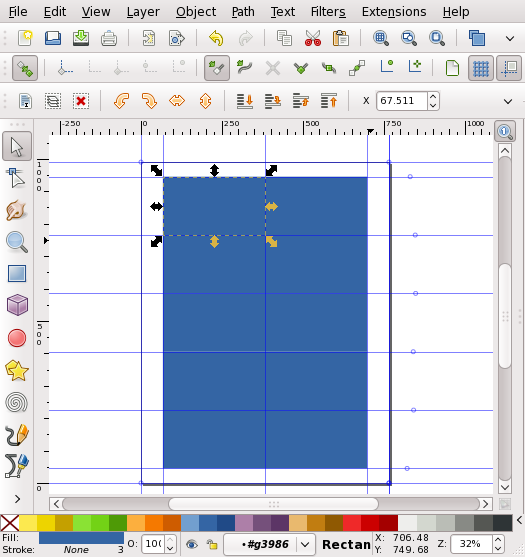 Draw a small rectangle on the canvas within the guides of the top left Business Card area of the template. 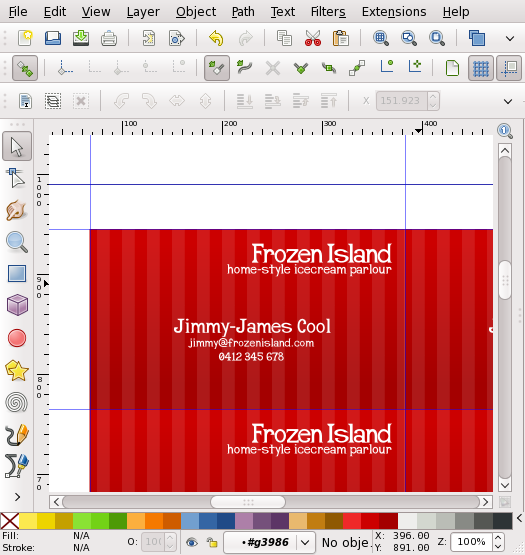 Resize the rectangle to fit the business card shape defined by the guides. 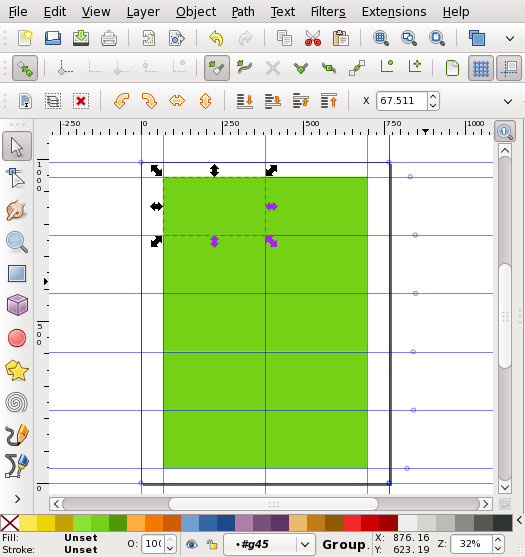 While resizing, the rectangle should automatically snap out to the inner edges of the guides. For the clones that we are going to create to function properly, our rectangle needs to be in a group. 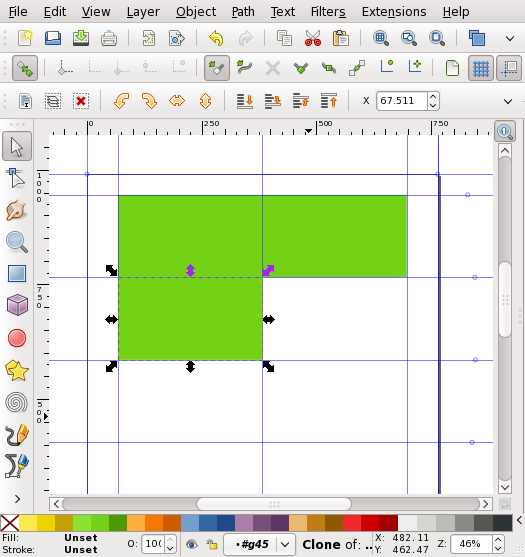 Select the rectangle using the Select tool. Group of 1 object in layer OL244. Click selection to toggle scale/rotation handles. 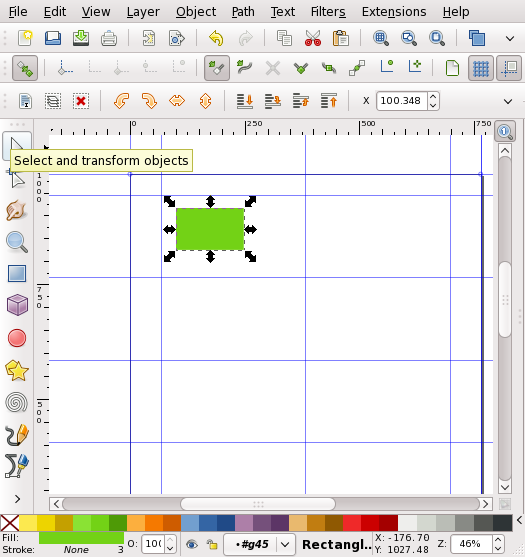 Clone Of: Group of 1 object in layer OL244. Use Shift + D to look up original. Go back to the original rectangle that was created, and repeat the cloning process until all 10 slots of the template have rectangles in them. Try to always keep the original rectangle in the top left slot of the template. 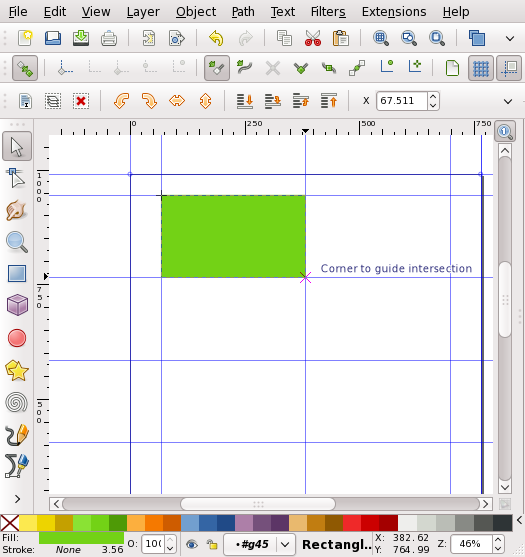 Now change the color of the rectangle using the palette at the bottom of the screen. If the clones have been created properly, the color of every object should change automatically. The second section of this tutorial will outline a sample process for using the newly created template to Design a Business Card. Click on the top node of the gradient. 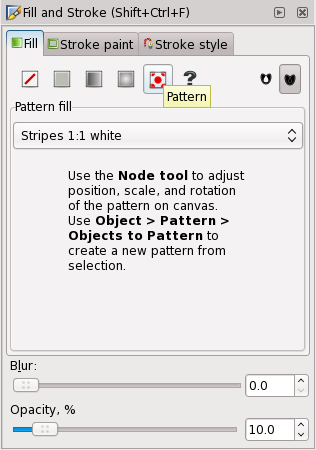 (This selects the node, making it blue like the screenshot below). In the next step, a striped background pattern will be added to the business card. The final step in the business card design is to add text. 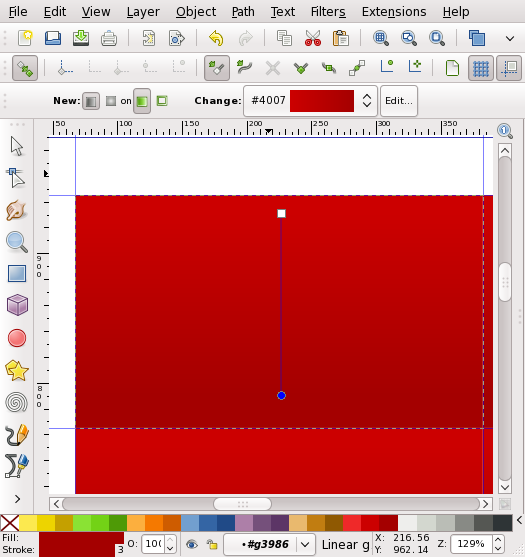 Click once on the canvas to insert an unflowed text object, and type in some text. 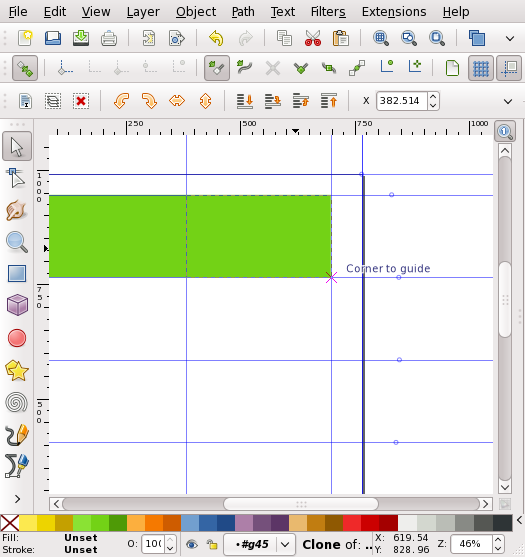 After entering in the text, choose the select tool, and use the arrows that surround the text object to resize it. Finally, zoom out, and admire the finished business cards, ready to be printed. 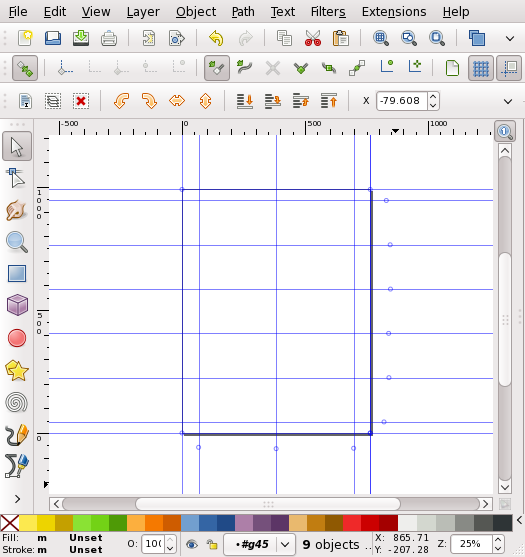 This is a great contribution for the Inkscape tuts and is very impressive! 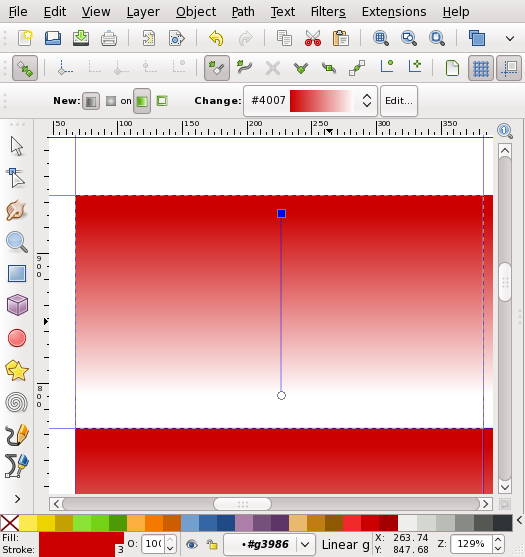 This is the very first Inkscape tutorial I have ever been able to follow from start to finish, and achieve a great result. Thanks very much for a smashing explanation of all the steps! 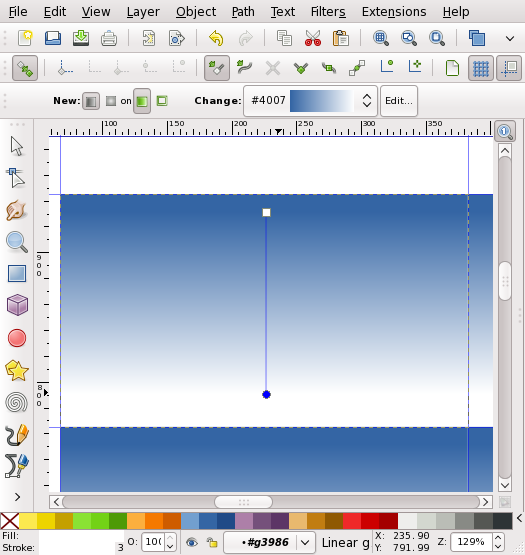 Like Kat, this is the first Inkscape tutorial I’ve completed. This has saved me tons of time getting to know tools I’ll use again and again. Thank you! 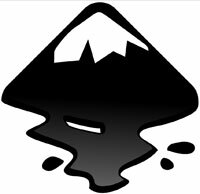 This was a terrific tutorial to get me off and running with Inkscape. Thank you very much for sharing it with us! I for one greatly appreciate it! However, I must be missing something because I’m stuck at the step where you add the whites strips. When I Duplicate the first frame and add the pattern, the other frames are not updated with the pattern. Same thing with the text. Now this is what I called a very useful tutorial. Thanks so much for the help Ryan! The conversion of the pdf to a guide was great! The part about double clicking the grouped source rectangel BEFORE adding the gradient saved me and I’m sure many others from a lot of frustration! Thank you so much! This tutorial is excellent. Great use of tools and techniques! Thank you for this tutorial. 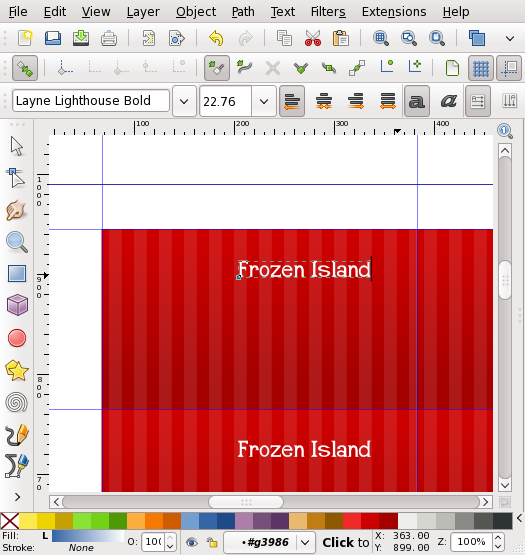 I answers my questions on business cards and inkscape. Just perfect. 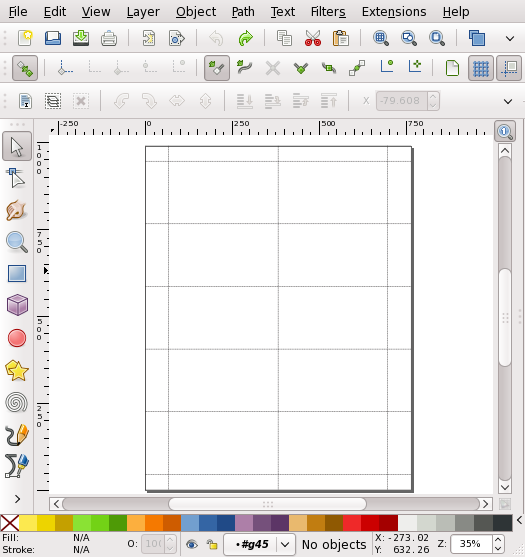 I would have never guessed that one could use a pdf template in InkScape. This point alone will enable so many with so much more. Totally awesome and insightful — stupendous. Excellent tutorial and thanks for the template! great tut, thanks much. Just one question – I duplicated the original and followed the steps, so now I have the orig and a dup in the top left. at the end – do we ever delete that duplicate? looking forward to more tuts! Thanks. I’m new to Inkscape so this tute has helped me out. Plus I’d like 20 biz cards for all occasions. This is so great, I can follow each instruction, thank you so much. I have a question for you, is it possible for you to show me how to place two hearts on a piece of card stock, and only cut the two hearts at the sides and not cut the whole heart. This is to be cut on a cricut expression, but if i place the hearts on the card stock the cricut will cut out the whole heart, all i want is for the sides to have a slit, so that a piece of ribbon can pass through. Please help me i am not seeing and tutorials on this. beautiful! I am so happy with the result. I chose the old paint pattern and a slightly darker red color. 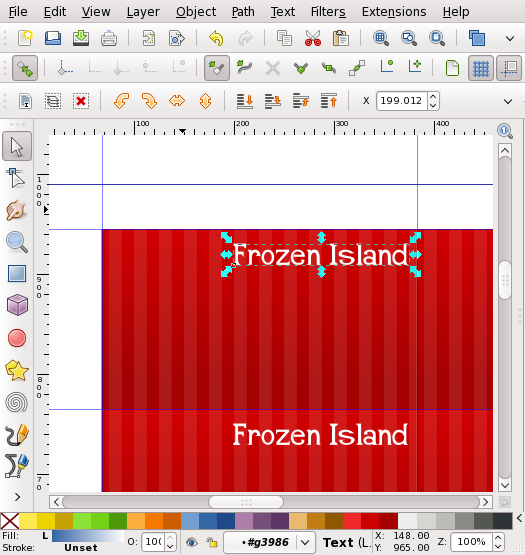 Anyhow, this is one of the best inkscape tutorials i’v seen. Thank you!! Thanks for taking the time and posting this. 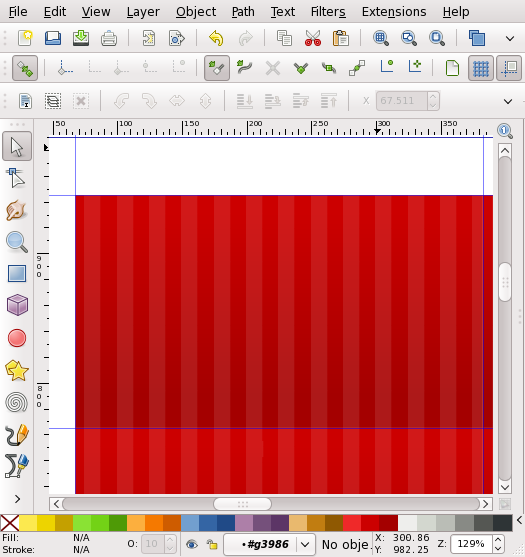 I cannot set the rectangles to not print the outward borders. The result is that they don’t coincide with the perforations on the business card sheets. How can I set these guides to not print? Thank you much this tutorial was very helpful. A really good resource!!! 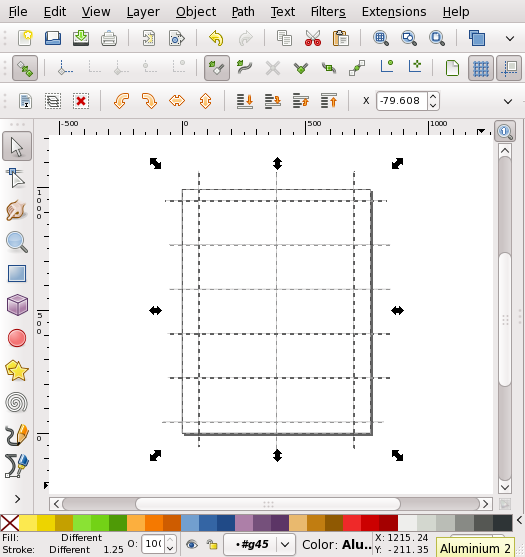 I am brand new to Inkscape and must be completely missing something! Please could you tell me how i ensure, when working on business cards, that the text i type in the first main card flows to all the other cards? I can’t seem to work it out! Excellent instructions! Absolutely perfect in direction! You are a helpful individual. Thank you, thank you! As the rest have commented this tutorial was so helpful! Wish there were more like this one. thank you very much for your teaching and sharing. That was what I was looking for, great. Great tutorial. I learned a lot. If possible, can you post the x, y, w, h of the primary card. I have x: 67.511px, y: 764.990, w: 325.105, h: 180.021 . 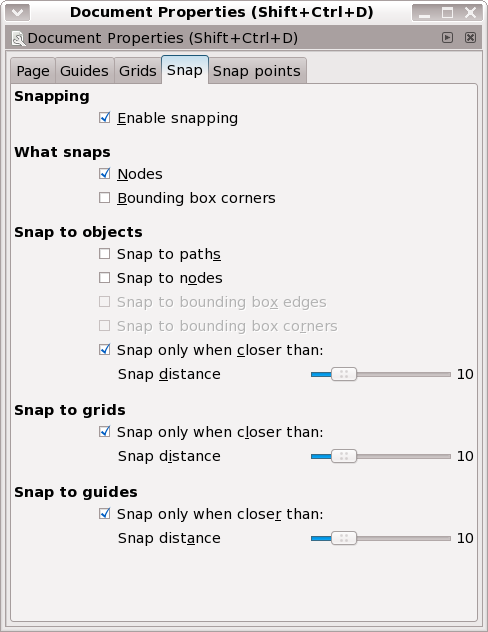 I wasn’t able to get the “snap to guides” to work for me (only on the first one when I drew the rectangle from corner to corner). When I zoomed in on the cards initially I saw whitespace at many of the edges so I tried the align tool which worked on the right column but not the left. When I switch to inches, I always get 3.501 by 2.000 dimensions which I guess is OK. 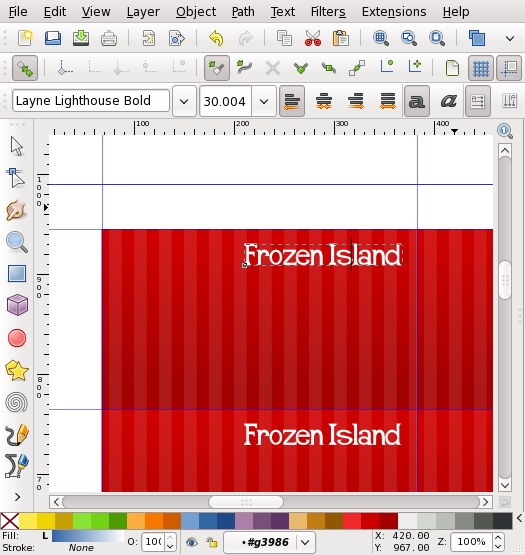 Your original template is exactly set to a 3.5 x 2.0 card so I imagine Inkscape is just a little quirky sometimes. Thanks again. for a great tutorial! I think everyone would love to see a tutorial on preparing this artwork for a commercial printer. That’s the “Ark of the Covenant” tutorial! !